Small business owners are always trying to find good strategies for reaching and retaining more customers. While some tried and true strategies will always remain the same, there are also newer techniques businesses should think about to boost sales in 2017. With data now a widely available tool to help tailor messages to certain audiences, the keywords for 2017 will be specificity, targeting, and conversion. Here’s our top 10 list to start the new year off right. Make use of Facebook’s data concerning users’ transactions. Facebook and the data brokers it partners with track trillions of data transactions each year. Your business can use this data to target audiences based on different purchasing behaviors. Create custom audiences by uploading a list – it can be subscribers, customers, or purchasers – to Facebook. You can then target that list, or even just portions of that list, and make offers geared specifically toward them based on their zip code, whether they visited your website, their income, etc. The sky is the limit. Layer your targeting to make your audience more specific. You can combine demographics, behaviors, and other data to pinpoint your audience – even to one person. A company with special discounts for young families with pets, for example, could use this to drill down into specific demographics and target just that audience. A customer’s journey to your business isn’t always linear – they may see your website, then months later read something in your social media stream, then read a blog post before becoming a client or customer. One way to reach potential customers is to retarget ads, which essentially means re-displaying your material to site visitors, or following up with someone whose information is in your database. There are a few ways to do retargeting, including pixel-based and list-based. Both can help boost awareness, and can help convert visitors to customers. AdRoll is one of the most popular retargeting platforms with a huge audience making it the best place to start for most businesses. If you’re already using Google AdWords, you can also test out their remarketing program. Unbounce is an app that lets you build custom landing pages, and you can use it to help launch a campaign or drive leads from your webpage to a targeted landing page. Landing pages can help a business increase conversion rates – in other words, converting potential customers to actual customers. They are a form of targeted promotion that focus on a specific objective matching the intent of the ad that you visitors clicked on to reach your page. Here is a great example from Unbounce of a landing page by Campaign Monitor that’s well designed. A targeted mailing list is an effective way to ensure you are getting your message in front of the right audience. To create an effective targeted mailing list, you’ll need to analyze your current customer database, gather information on the characteristics of current customers, and consider geographical areas you’re targeting. An easy way to do this is to find a contractor – sites like Unbounce let you connect with contractors for specific jobs – and work with them to plug in the information you’ll use to tailor your list. YouTube is a platform with more than 1 billion users, and it reaches more users in certain age groups (18 to 34 and 18 to 49 year olds) than any cable network in the U.S. So it’s well worth your while to use it to promote your business expertise in your industry. Marketing videos tend to fall into a few different categories: promotional, infographic, and product demonstration. Promotional videos obviously showcase what you’re selling (for some great examples, check out animoto.com’s page of success stories.) An infographic video relays interesting and useful information to an audience, and in the process establishes your business as a thought leader in that field. And a product demonstration speaks for itself – it’s a chance to show off how well your product works. Using a tool like Animoto of After Effects will help make a polished video. And if you create a YouTube channel, consider that social media scheduling sites like Hootsuite have an integration with YouTube to make sharing that content easy. Intercom Acquire lets you chat with visitors on your website in real-time, leading to a conversion into signed-up customers. The app lets you communicate with visitors who are logged in on your site. They are tracked as leads in Intercom once they start a conversation with you via the Intercom Messenger. Vistors are promoted to enter their email addresses once they start a conversation, which means you can then follow up with them as leads. Jeff Kear, owner of Planning Pod, says that website visitor tracking technology can also help get your company’s name in front of more potential customers. While PR pros generally want to have a wide audience, there are times when reaching a broad audience is not the best strategy for a PR campaign. Building a targeted campaign means you’re building brand awareness among the people most likely to receive – and act upon – your message. To do so, you’ll first need to conduct market research to find the right factors that will help you create the parameters of your target audience. It will also be important to tie in the right angle, the message that speaks to this audience. Hannah Ash, a marketing communications specialist with Graphical Networks, says educating the consumer should be a goal, and a great way to achieve that is through webinars. Customer Relationship Management, or CRM, is an app that keeps track of your current and prospective customers, and helps you manage relationships with them. It’s got some of the same functions as an address book, but it goes beyond that by compiling relevant information around that contact. That may include messages with that person or other people at the same company as that contact. Stephen Hayes, Sales Manager at Patterson Dental, says his company uses Badger Maps for its field salespeople and sales managers, and that has helped them develop a better sales strategy. “With Badger, we can see our customer data on a map on our mobile devices when out in the field, sort them by specific criteria to focus on the most important customers and build a solid plan for our time spent in the field,” Hayes says. 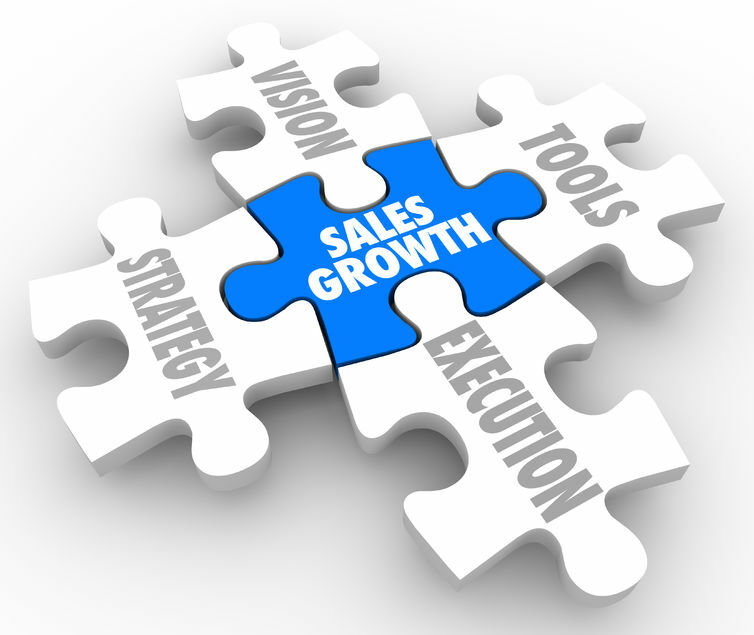 “This has helped us increase sales efficiency and CRM usage. Since we’ve started using Badger, sales reps see at least two more customers and find two more prospecting opportunities per day which enabled us to close more deals overall. We also use Badger for lead generation. It allows us to find new customers nearby when in the field so we can take action immediately and either call them or add them to our route in Badger and stop by in person. We’ve seen that by quickly identifying and visiting new leads when a customer cancels last minute, we create new opportunities that often lead into valuable customers. Following up by email can help increase sales conversions, but it may be easy to lose track of which prospects you’ve reached out to. Luckily, Gmail offers a plug-in called Boomerangthat lets you schedule when to send follow up messages to prospective clients, and allows you to set reminder to follow up with prospects. Monitoring keywords related to your brand and your industry can help you identify customers who are ready to make a purchase, and stay on top of what people are saying – good or bad – about your business, so you can respond promptly. There are a few tools, from Tweetdeck to Mention, to help you keep tabs on the keywords you choose to monitor.